Some images of India watching the Oscars and rooting for Slumdog. It almost looks like something out of the movie. "Jai Ho" indeed. 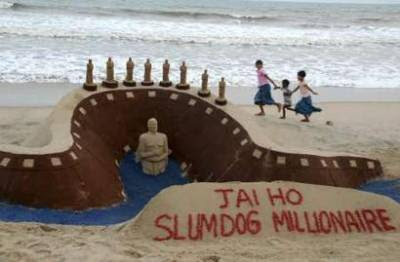 Slumdog Millionaire is really a great movie, i'm happy for the Oscar !